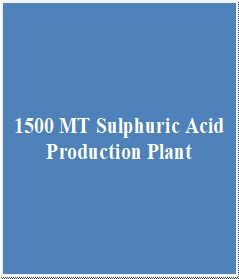 Complete new surplus 1500 MT sulphuric acid plant, 50 HZ with 23 MW GE Thermodyn steam turbine generator. All equipment is still manufactures packaging and stored in warehouse. Plant is available due to a cancelled project. Wind load 15 m/s max.